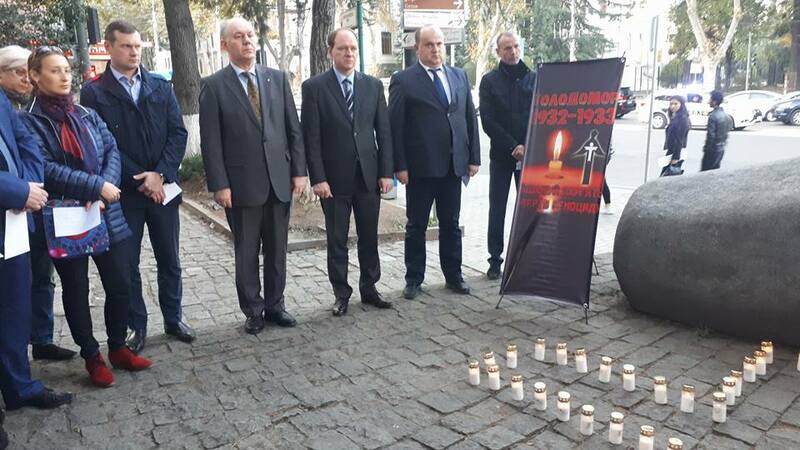 The Ukrainian community of Tbilisi and the diplomats joined the international action “Light a candle of remembrance!” dedicated to the 85th anniversary of the Holodomor of 1932-33 in Ukraine. 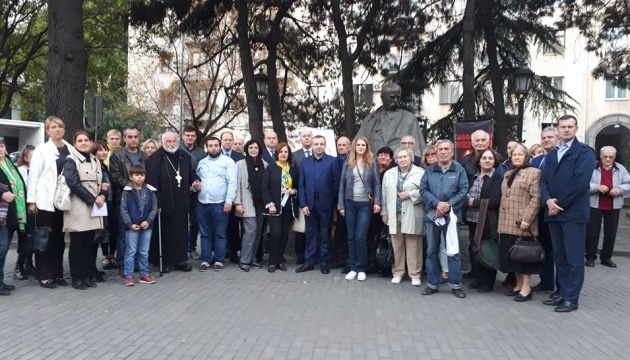 "At 17:00, near the monument to Taras Shevchenko in Tbilisi, the representatives of Ukrainian NGOs in Georgia, the Embassy of Ukraine in Georgia, deputy head of the Ukrainian Institute of National Remembrance, the staff of the Center for Ukrainian Studies at the Tbilisi State University and Georgian activists commemorated the victims of the genocide of Ukrainian people and lit a candle of remembrance," the press service of the Embassy of Ukraine in Georgia reports. 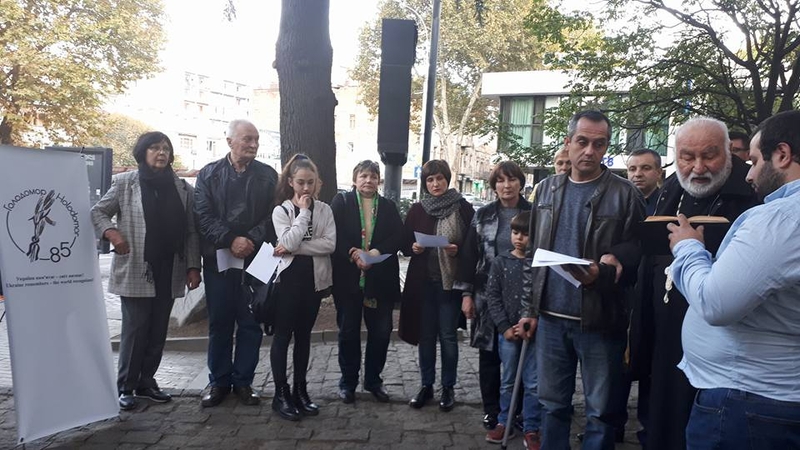 As noted, the participants in the action read out the names of 85 children, who had been starved to death in 1932-33, and read a joint prayer for all Ukrainians starved to death. 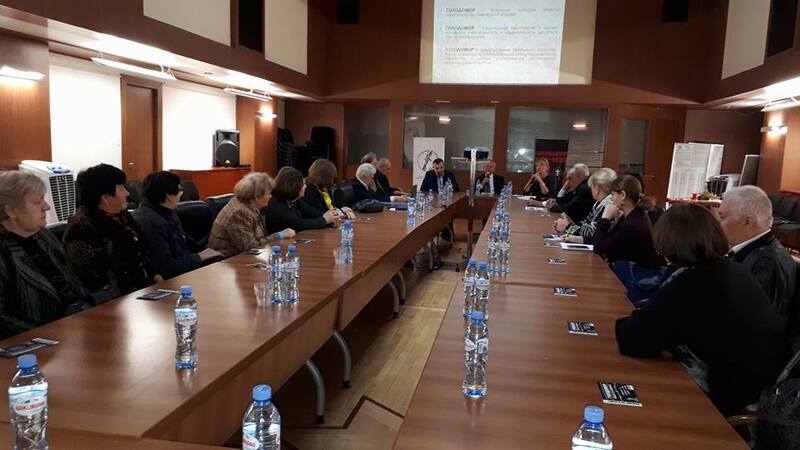 In addition, on October 30-31, the National Parliamentary Library of Georgia in Tbilisi hosted a round table meeting on the topic "Holodomor of 1932-33 in Ukraine", which was attended by Ukrainian and Georgian scholars, representatives of Ukrainian NGOs in Georgia, the Patriarchate of Georgia, the Public Defender's Council of National Minorities of Georgia and others. 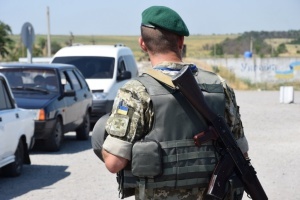 The global action "Light a candle of remembrance!" started on September 1. 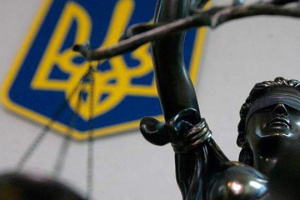 It is held daily by the embassies and general consulates of Ukraine in different countries of the world, will last for 85 days and end in Kyiv on November 24. During each action, 85 names of children from millions of those starved to death are read out.